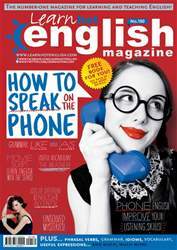 Digital Subscriptions > Learn Hot English > 180 > HOW TO SOUND GOOD ON THE PHONE! People can’t see you when you’re speaking on the phone, but they can hear you. So, the way you speak is extremely important. In fact, experts have calculated that 80% of communication over the phone is through your tone of voice; and only 20% is from the words you use. 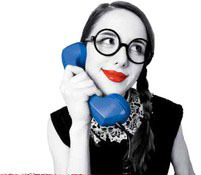 Here are our top tips on how to speak over the phone, and how to interpret someone else’s feelings through their tone. Your facial expression can affect your voice. For example, if you smile, your voice will sound warm and friendly. On the contrary, if you have an angry look on your face, it can make you sound unpleasant. Be careful not to make any negative sounds while you’re speaking. So, no yawning, tutting or muttering. Instead, use short phrases to show that you’re following what the other person is saying such as oh, I see, really? or ah huh.